Star Wars is not the only event in happening in the heavens at the moment. 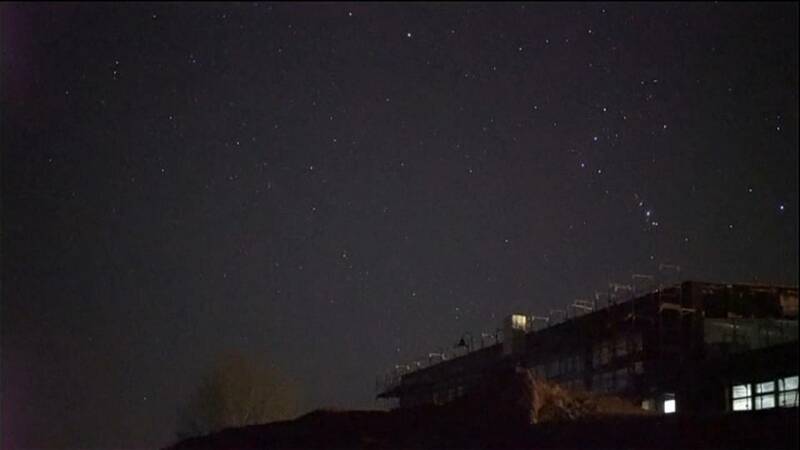 The Geminid meteor shower will reach its celestial climax in the early hours of the morning. Can they be seen everywhere? From the northern hemisphere, the meteors will come from high in the southwestern sky. From the southern hemisphere they will come from low in the north-west. The shower will peak in the early hours, but traces should be visible throughout the night. Tiny pieces of dust that collide with our planet and burn up in the atmosphere. They occur annually when the Earth ploughs through individual streams of cosmic dust, which were once part of the tail of a comet. The Geminids are unusual as they come from an extremely rare type of object called a "rock comet"
Called Phaethon, it dives towards the Sun every 523.5 days. The intense heat fractures the comet's surface and loose grains are blown off. In a comet, the tail is created by ice and gas as well as dust.